Former Equifax CEO Richard Smith is scheduled to testify before two congressional committees next week. Equifax CEO Richard Smith retired Tuesday, less than three weeks after the company announced a gargantuan data breach that put tens of millions of people's personal information at risk. Smith served as the company's CEO for 12 years. The company's board is conducting an independent review of the hack, but a spokesperson said that Smith will receive his $18.4 million pension "under any circumstances." Smith also retired just days before he's scheduled to testify in two congressional hearings — and that angered some already pretty angry lawmakers. Sen. Elizabeth Warren launched an investigation into the breach prior to Smith's abrupt retirement. She posted a statement on Facebook Tuesday, saying: "It's not real accountability if the Chairman and CEO resigns without giving back a nickel in pay, publicly answering questions, or facing a full civil investigation." Sen. Brian Schatz, panel member of the Senate Banking Committee that Smith is scheduled to face, said "a CEO walking out the door just days before he is to appear before Congress is an abdication of his responsibility," and that he fully expects Smith to testify at the hearing Oct. 4. The House Energy and Commerce Committee said on Twitter that Smith still will testify before it on Oct. 3. The Equifax breach exposed the names, Social Security numbers and addresses of more than 143 million people. The company waited more than a month to tell the public about the hack after it was discovered. 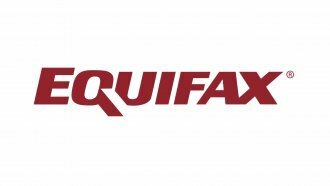 Paulino do Rego Barros Jr., who recently served as president of the company's Asia-Pacific region, is now Equifax's interim CEO. The company says it will consider internal and external applicants for a permanent CEO position.